Drifters, travelers, and those living on the road. 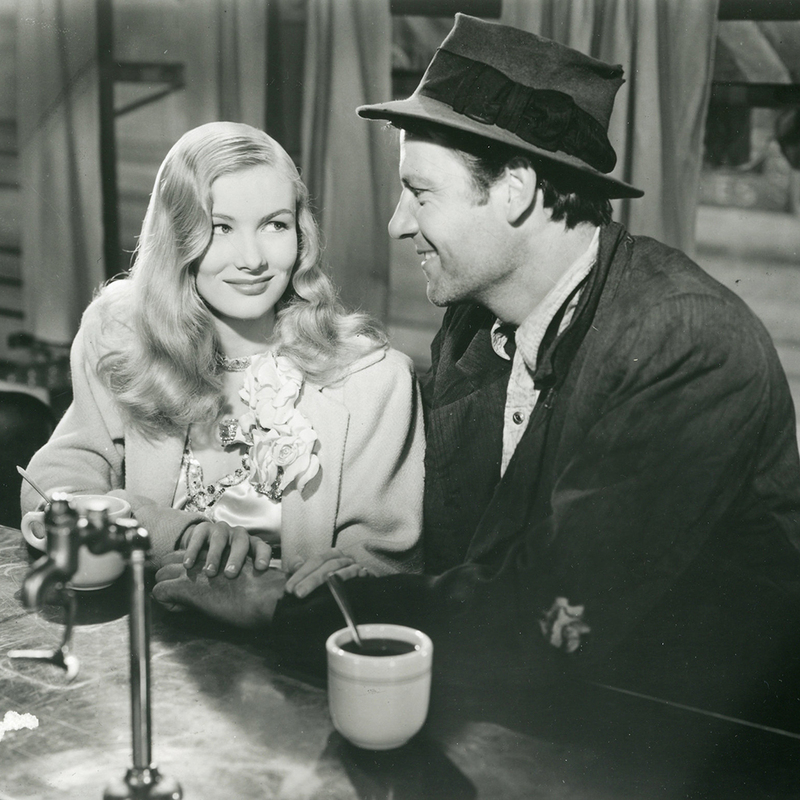 The “on the road” theme has such staying power, in part, because there is a shared ethic at work in these stories. Some people would argue it’s a God-breathed and essential ethic—that each of these stories reflects a fundamental desire for spiritual improvement or progress toward sanctification or, more simply, a moment of epiphany or grace. 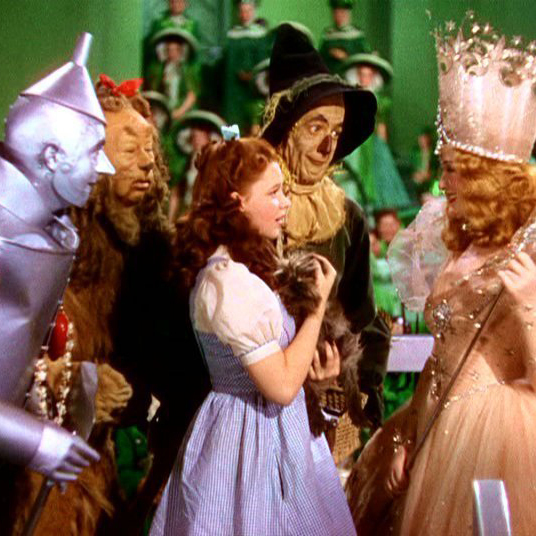 Produced in 2012 by the Arts & Faith online community, this list spans 80 years of cinema, from 1939’s The Wizard of Oz to 2009’s Up. The Top 25 Road Films is sponsored by Image, a literary and arts quarterly founded in 1989 to demonstrate the vitality and diversity of well-made art and writing that engage seriously with the historic faiths of the West in our time. 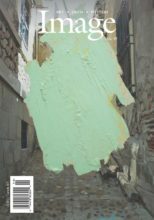 Now one of the leading literary magazines published in the English language, it is read all over the world—and it forms the nexus of a warm and lively community. Explore Image here. Alvin Straight (Richard Farnsworth) is a 73-year-old veteran who has not spoken with his brother in ten years, but he won’t let his physical limitations stop him from a cross-country trek on a riding lawn mower in search of reconciliation. Along the road, he is haunted by ghosts of war and interrupted by plenty of obstacles. But each incident serves to prove that he just might be the healthiest, most clear-eyed man in a world that moves too fast for wisdom. This is the most hopeful and inspiring of all of David Lynch’s films, one in which encounters with darkness are overwhelmed by the presence of beauty and love. Stalker follows three men—a professor, an author, and their guide, a “Stalker”—on a journey from the muted and run-down city in which they live to The Zone, a vibrant and mysterious space created by an alien crash-landing. The journey becomes metaphysical as well as geographical as the men near The Room, a place they believe will grant the deepest wishes of their hearts. Andrei Tarkovsky’s film about the great Medieval Russian Orthodox icon painter is a fractured journey, showing disparate episodes from Rublev’s life instead of following a traditional narrative arc. These include Rublev’s conversation with Theophanes, a cynical artist; a sequence in which he stumbles upon a pagan bacchanal; and the epic story of a young bellmaker in which Rublev plays only a cameo role. 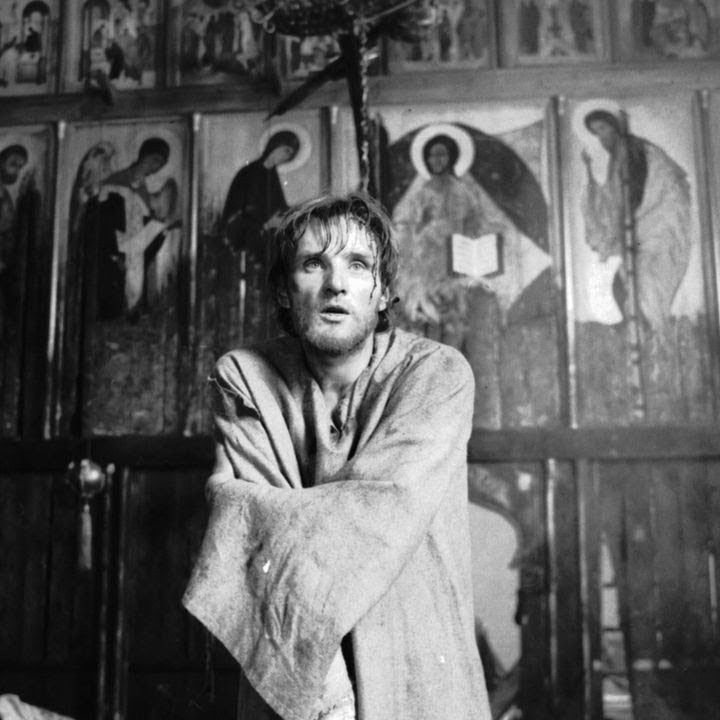 Andrei Rublev is an epic meditation on the value of art and beauty in a savage world. 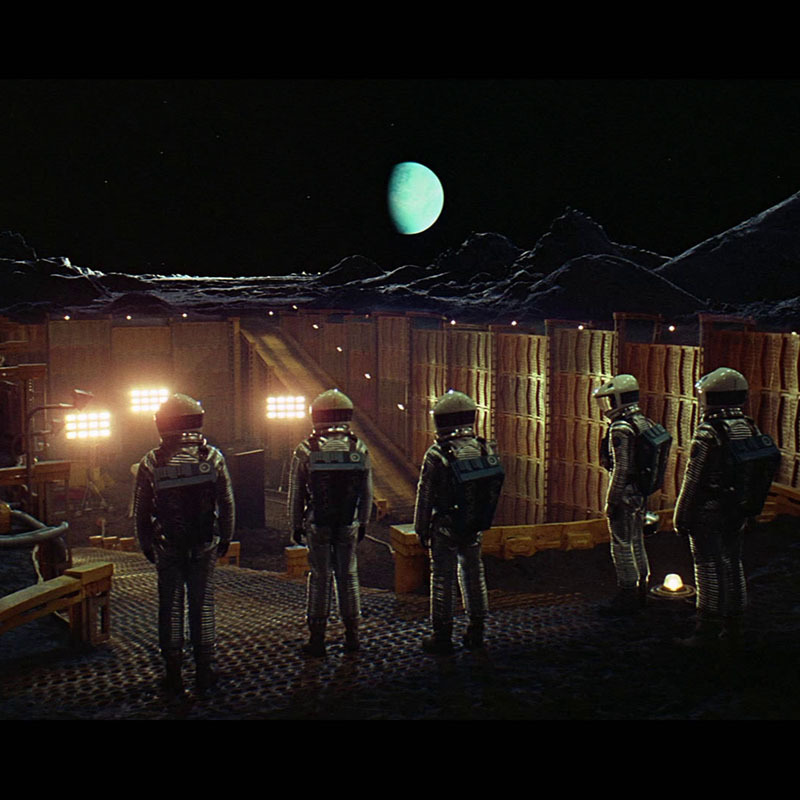 “Open the pod bay doors, HAL,” Commander Dave Bowman requests. But the HAL 9000 computer is perfect; too perfect to allow humanity’s imperfections to interrupt this important mission to Jupiter. An epic of awe-inspiring visuals and a thundering symphonic soundtrack, 2001 is a pilgrimage into humanity’s nature, with human ingenuity and technology clamoring for the future of evolutionary progress. There are no physical roads on this journey, only galactic and evolutionary paths, deeply spiritual, inviting us to contemplate our origins, our principles, and where perfection truly lies. 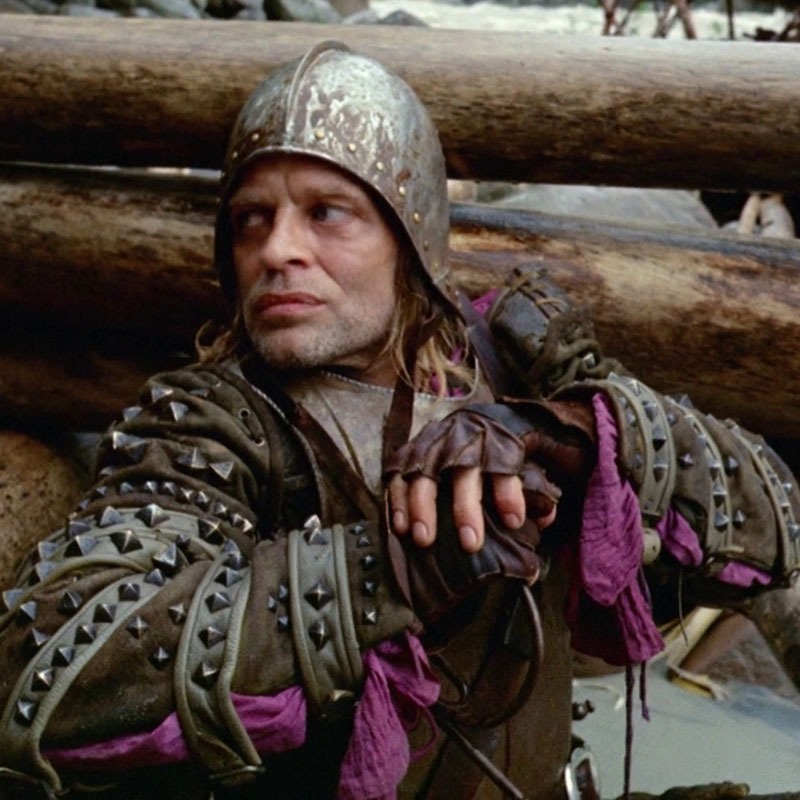 The opening shot of Aguirre: The Wrath of God tracks the descent of a group of conquistadors into an Amazon river valley as they search for El Dorado, the fabled city of gold. 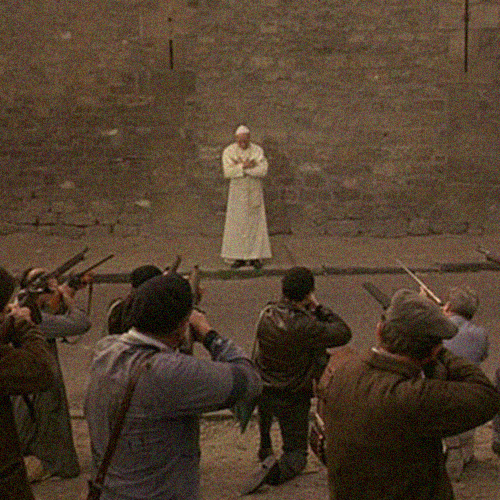 That shot becomes a metaphor for Aguirre’s descent into madness as he risks the lives of his men in his obsessive pursuit of wealth and power. 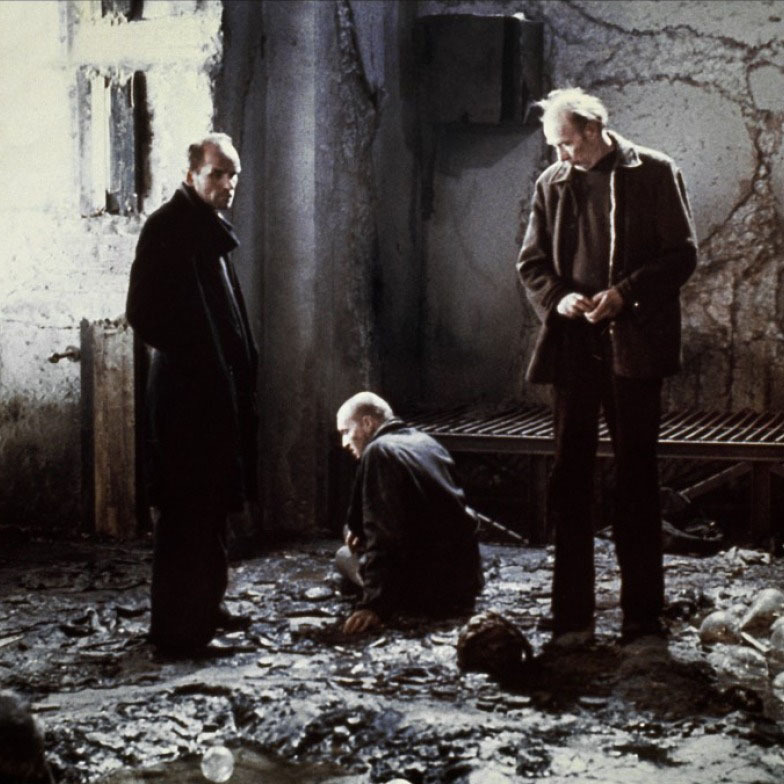 Aguirre marks the first collaboration between director Werner Herzog and mercurial leading man Klaus Kinski, a relationship that involved death threats between the two and was chronicled in the documentary My Best Fiend. 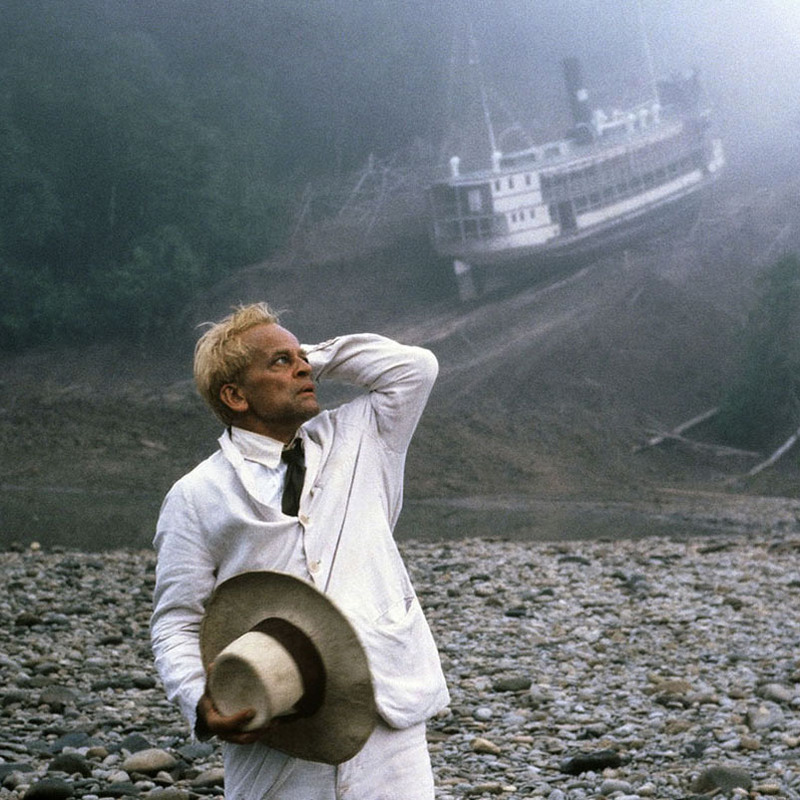 The title character of Fitzcarraldo is an opera fan with a dream bringing an opera house to the Peruvian jungle, but first, he has to transport a three-story, 300-ton steamer ship over a mountain. Director Werner Herzog filmed this story without computerized special effects, and nearly killed several crew members in the process. 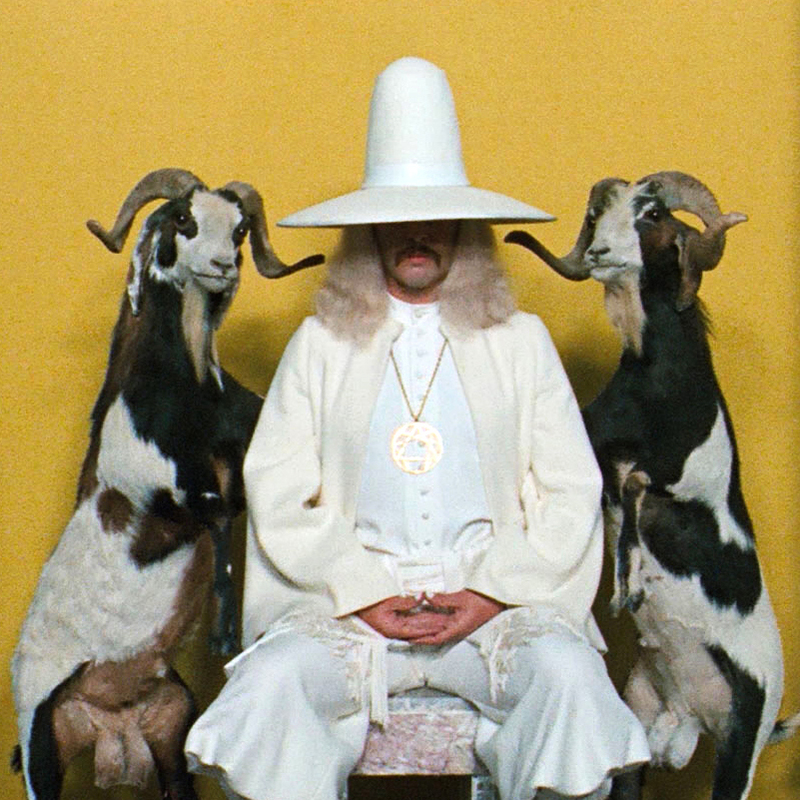 In The Holy Mountain, Alejandro Jodorowsky adapted Ascent of Mount Carmel (St. John of the Cross) and Mount Analogue (Rene Daumal) to film by combining them with attributes of various religions in a whirlwind eclecticism of the esoteric. An alchemist takes under his tutelage the seven most powerful people in the world (represented by seven planets) and a thief (represented by the Fool Tarot), trains them in spiritual disciplines and leads them through intense and hallucinatory rituals as they journey to Lotus Island, so that they may climb the holy mountain and take the secret to immortality from the nine immortal masters living there. After the sudden death of their close friend, three middle-aged New Yorkers spend a lost weekend in London, drinking, gambling, womanizing, and struggling to make sense of their places in the world. 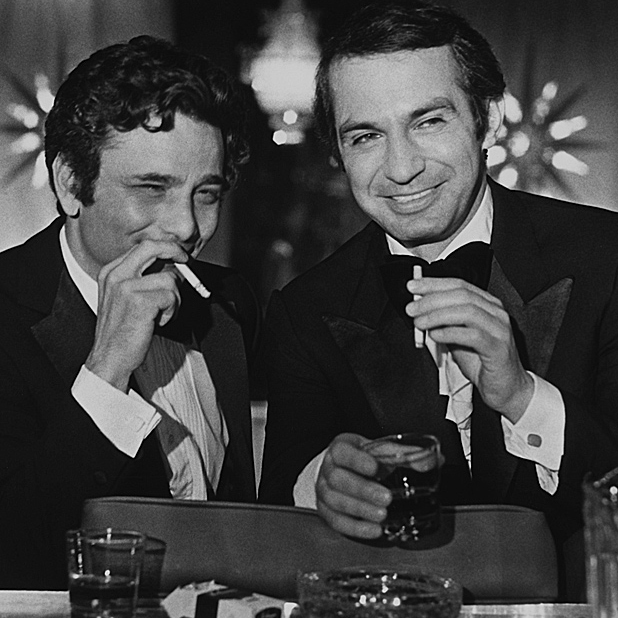 “I am a moralist,” writer-director Jon Cassavetes once said, “in that I believe the greatest morality is to acknowledge the freedom of others; to be oneself and to not be in judgment.” As a result, his style of filmmaking eschews traditional plotting and, instead, features fewer, longer scenes that burrow uncomfortably and without sentiment into the nature of his recognizably complex characters, difficult men deserving of our empathy and grace. 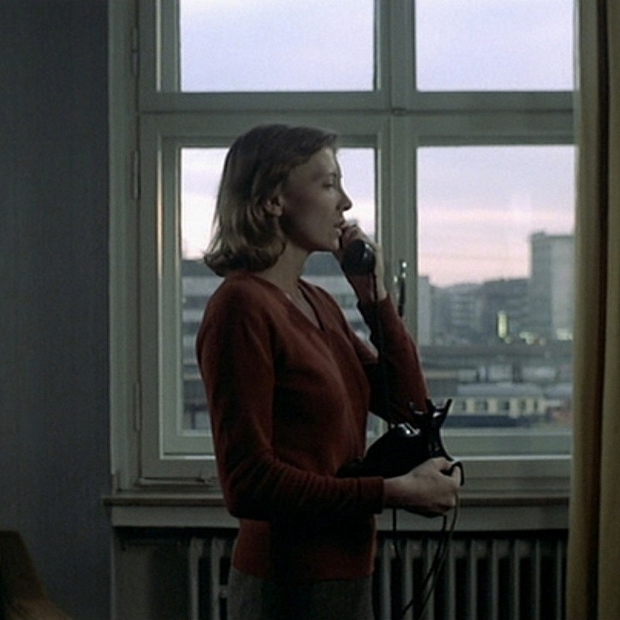 As young filmmaker Anna leaves Germany, where she has just shown her latest work, she embarks on a series of train rides, and several extended conversations with friends and strangers on her way to Paris. Director Akerman, the daughter of a Holocaust survivor, has been preoccupied throughout her long career with the subjects of migration and homelessness. Made barely thirty years after the end of World War II, Les rendez-vous d'Anna plays at times like a horror film, resurrecting the ghosts of Europe's traumatic history. 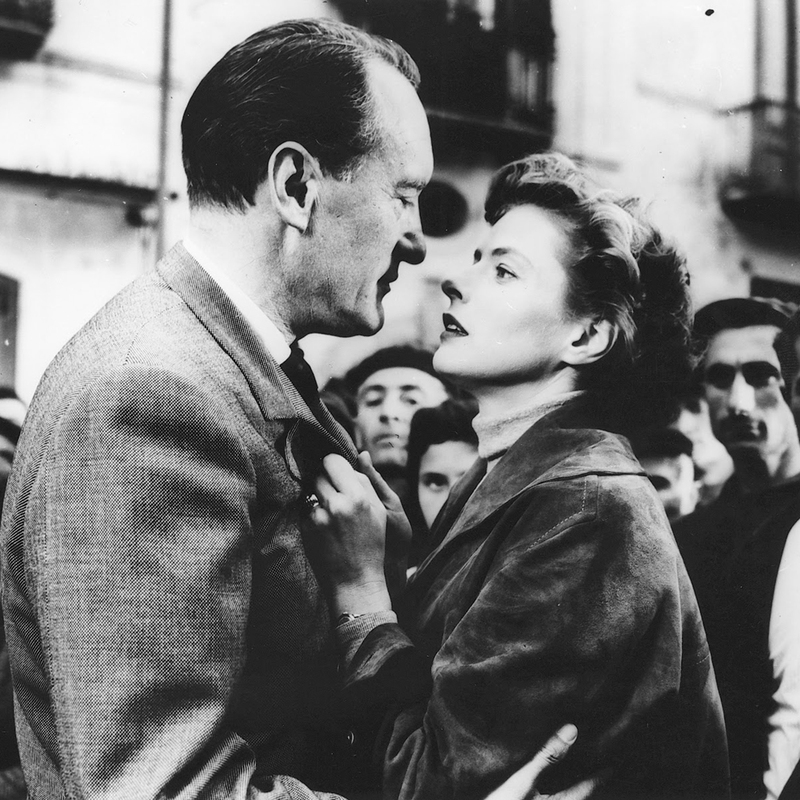 In the first installment of what director Luis Buñuel would later call a trilogy about “the search for truth,” The Milky Way is a deconstruction of the Catholic Church via Her heresies. Two French beggars attempt to panhandle along The Way of St. James (nicknamed “the Milky Way”), a pilgrimage route to Santiago de Compostela. The duo seems not to notice when their journey breaks laws of time and space and they slide in and out of surrealist detours that explore the bizarre side of church history, blurring the line between tradition and heresy. In the waning days of World War II, Mizushima, a private in the Japanese Imperial Army, is lost and presumed dead. 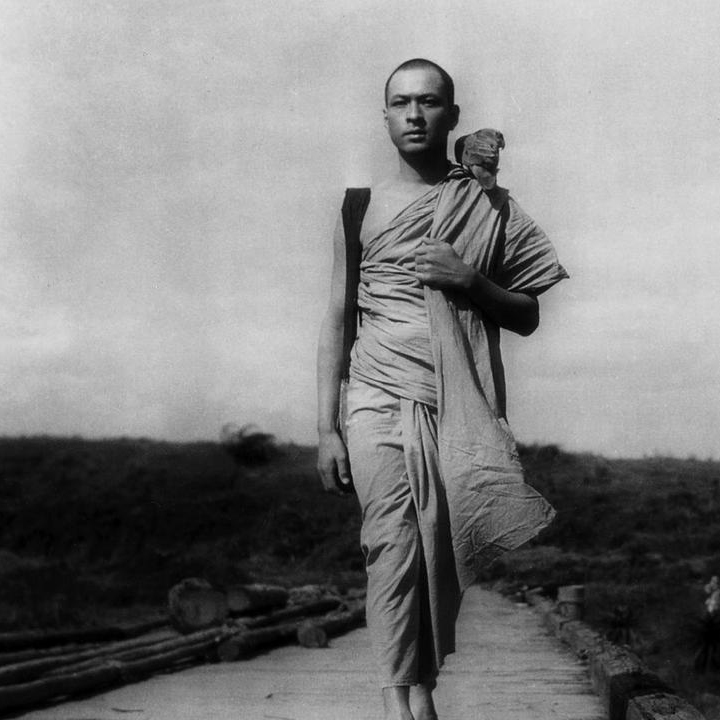 Having failed in his mission, he disguises himself as a Buddhist monk and travels across Burma to reunite with his unit, and in the process discovers a new sense of purpose and identity amid the destruction of war via the stirring music of his harp. A humane portrayal of soldiers and their camaraderie, the film affirms the life-changing potential of a journey of rebirth. After directing a string of shallow comedies, John Sullivan wants to do something important. To gather material for his chronicle of the downtrodden, O Brother, Where Art Thou?, Sullivan travels the country as a homeless man, and learns a lesson about the value of joy and laughter. 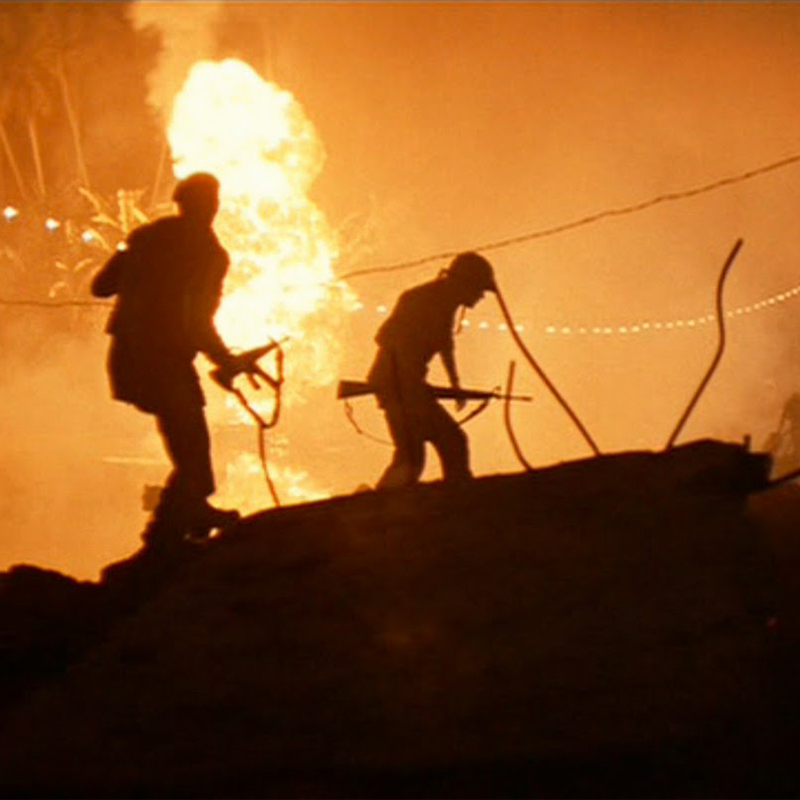 Apocalypse Now treads into the dark heart of humanity: horrifying but sadly not unfamiliar territory. Captain Willard is sent upriver during the Vietnam War to exterminate the rogue Colonel Kurtz, “with extreme prejudice.” Along the way he and his comrades must confront their own demons, and decide whether Kurtz is mad and what “goodness” means in a world full of insanity. As an adaptation of Joseph Conrad's Heart of Darkness, Francis Ford Coppola films Willard’s quest up river as a kind of anti-pilgrimage, ending in a place where the striking images of Kurtz's idolatry challenge any effort to see any humane purpose amid the struggles of war and empire. 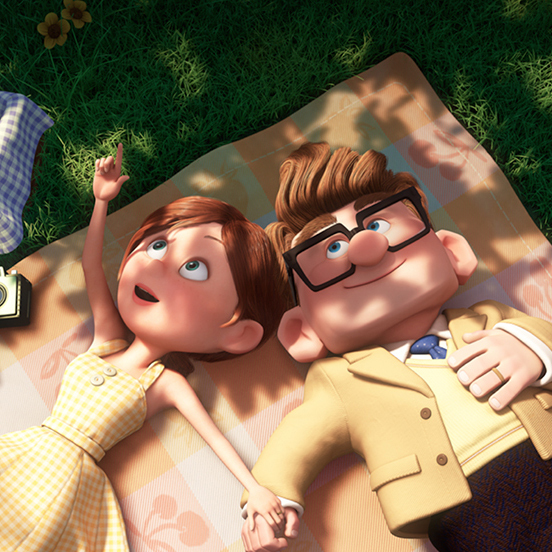 “What makes a man to wander? What makes a man to roam? What makes a man leave bed and board / And turn his back on home?” John Wayne and Jeffrey Hunter walk a long, hard road in John Ford’s celebrated, troubling The Searchers, a rare Western classic that ventures to question its hero and even the Western mythos itself, offering no clear-cut answers, even to the question in the theme song. The quest driving the heroes is part rescue mission and part revenge quest, and as to the question of whether the flawed characters have changed and developed, or whether we’ve simply seen more clearly the truth about them—that’s left for the viewer to ponder. A teenage city-girl and her young brother, stranded in the Australian outback, are rescued by an adolescent Aborigine boy on a “walkabout” (a survival ritual leading to his transition into manhood). A visually stunning work about the tenuous bond formed between these three characters, Walkabout is ultimately a heartbreaking story of missed opportunities, with both immediate consequences and longer aftereffects. 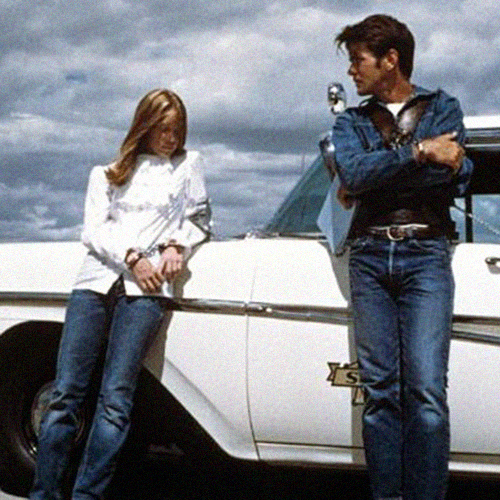 A baton-twirling teen falls for the James Dean of garbage men, and they’re off on a romantic cross-country killing spree, inspired by the famous 50s criminal pair Charles Starkweather and Caril Ann Fugate. To this day, the pair’s apparent detachment from the gravity of their crimes remains shocking and mysterious, but their suffering leaves a strong sense of shared responsibility for the flames, the violence, and the loss. 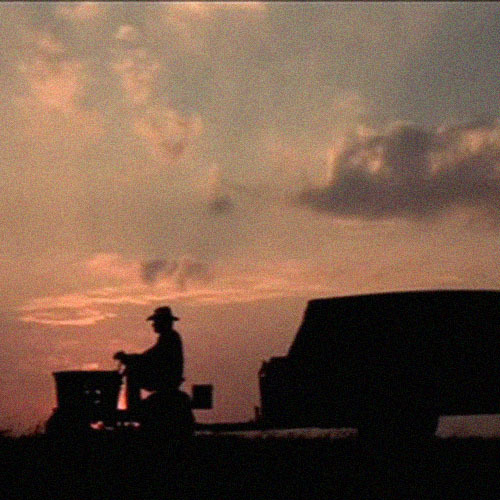 The film’s radiant cinematography, poetic sensibilities, engaging characters, and literary voice-over narration quickly launched Terrence Malick into the pantheon of great American directors. 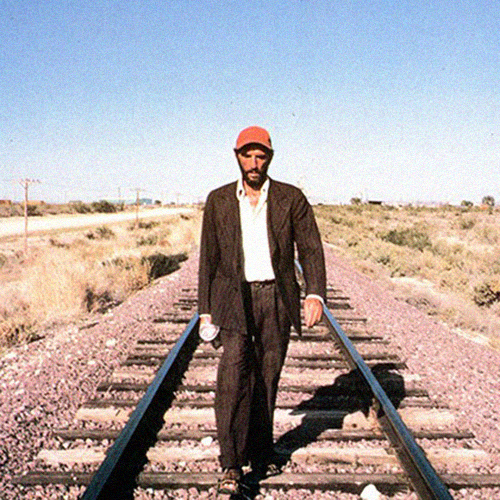 One of the most attractive visual meditations on pilgrimage that Wim Wenders has ever committed to film, Paris, Texas chronicles the spiritual and geographical journey of one lost man who begins to realize what his life is missing, seeing for the first time the ripple effects of his past choices on others. 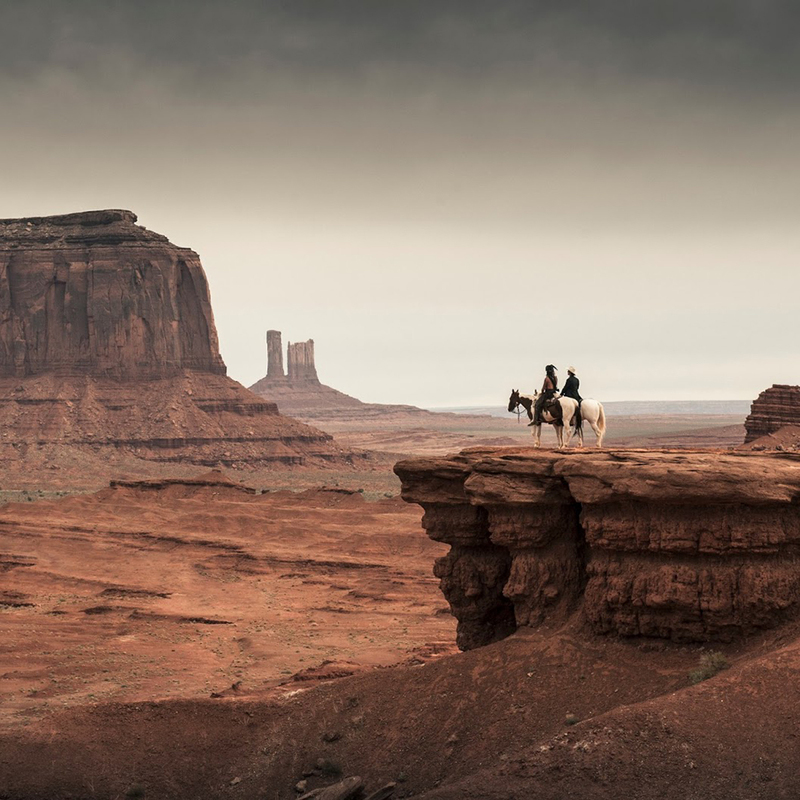 While the cinematography shows us the visceral impact of both the mid-western desert and the big city upon the wandering soul, the story explores the complex ways human sin and brokenness encompass the possibility for atonement. Caught in a Kansas tornado, young Dorothy finds herself in a strange and colorful new world that feels familiar enough, but simply isn’t home. Peppered with iconic lines like “we’re not in Kansas any more” and “pay no attention to that man behind the curtain,” The Wizard of Oz is a timeless and imaginative tale of friendship, endurance, and the desire for belonging, inviting us to “follow the yellow brick road” with a cadre of unlikely friends, facing perils with a smile and a song as Dorothy journeys towards home. 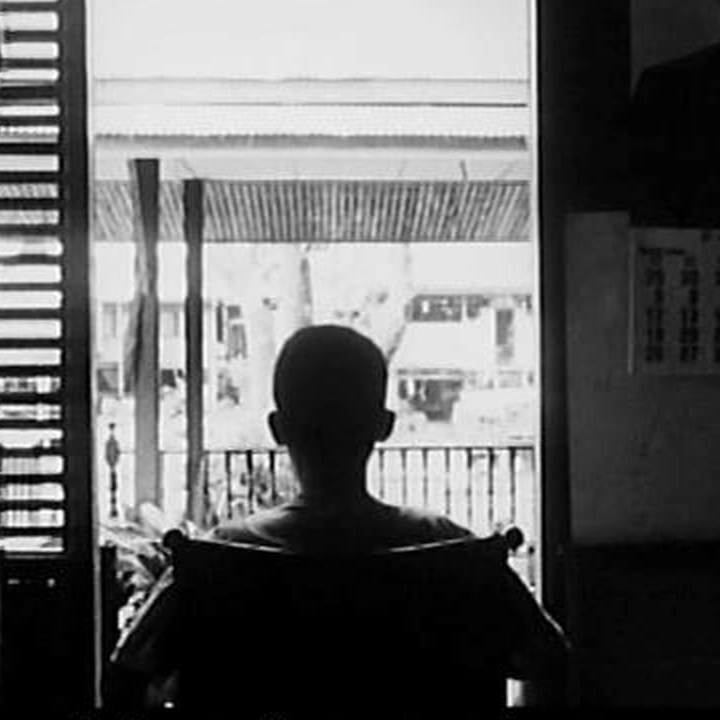 Apitchatpong Weerasethakul’s first feature-length film was conceived as a cinematic version of the Surrealist’s game, Exquisite Corpse, in which a work of literature or painting would be assembled from the efforts of several artists, each working independently but inspired by the others. Mysterious Object at Noon follows the twisting tale of a young Thai fishmonger who was sold by her father to an uncle she barely knew, and invents a story that takes on its own life. Dreamlike, beautiful, deeply moving, and deeply strange, Mysterious Object at Noon is one of the finest debut films of the past twenty years. A fantastic storybook odyssey ranging from the sea floor to the citadel of the moon, The Thief of Bagdad weaves Arabian Nights magic around the hero’s road to redemption. 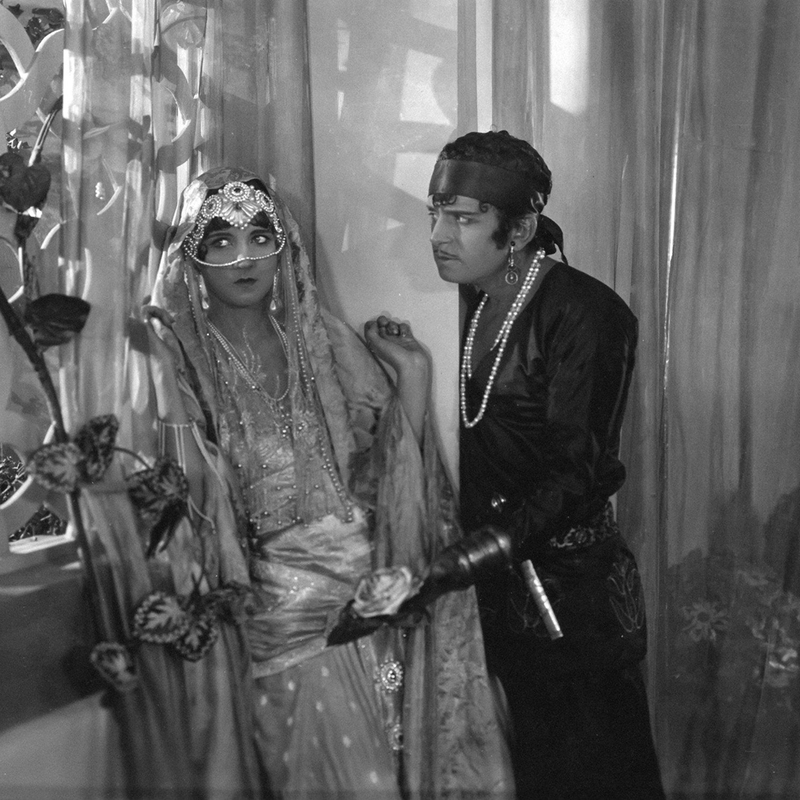 Douglas Fairbanks Sr. plays a carefree street thief, a cheerful infidel who believes only in taking what he wants—until he falls in love with a caliph’s daughter and hears the sage words of a holy man: “happiness must be earned.” With unprecedented special effects and sets, The Thief of Bagdad is perhaps the cinema’s first great work of epic mythopoeia, anticipating the likes of The Lord of the Rings. 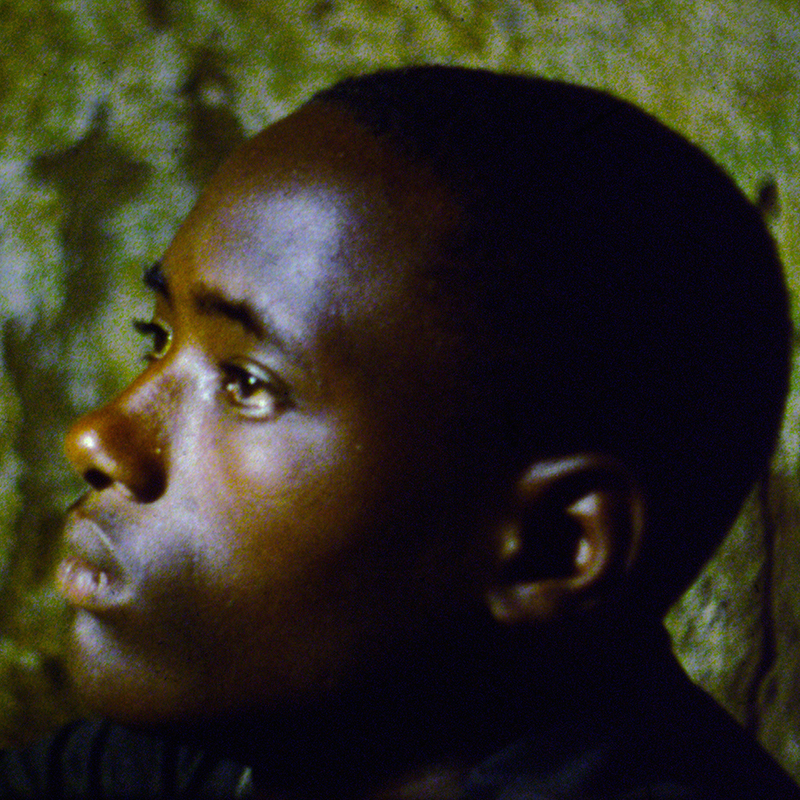 When two brothers are invited by a stranger—apparently their father—on a fishing trip, the boys’ journey becomes an epic struggle charged with resentment, distrust, and longing. Is this a rite of passage into manhood, or are they being led to their deaths? 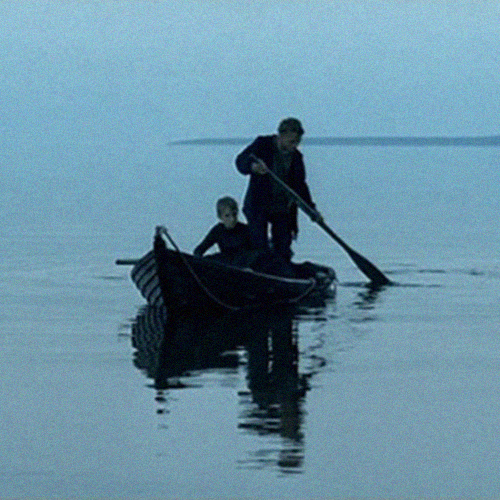 Zvyagintsev’s movie might be a parable about Russian history, and at times it suggests religious allegory as well, earning worthy comparisons to both Dostoyevsky and Tarkovsky.